In today’s very busy lifestyle, we sometimes cannot squeeze in our activities in so little a time. Then our health is being compromised. As a result, we skip meals, eat the wrong kinds of food, forget to drink water and work till the wee hours until we don’t get the right amount of rest and sleep. Enercal Plus was launched at the Loft Manansala, Rockwell Center on October 13, 2011. It is a nutritional supplement (milk with whey protein) specifically designed to provide nutrition for adults. This event was hosted by DJ Boom Gonzalez interviewing three (3) successful celebrities in their respective fields: Paolo Bediones, Angel Aquino and Jett Pangan. Paolo Bediones is a feature magazine and reality show host turned broadcast journalist. He currently anchors the late night newscast Aksyon JournalisMo which airs every night. He also co-hosts the station’s morning show Sapul sa 5 which also airs daily from 5 to 7 am, and hosts the documentary show USI (Under Special Investigation) and reality TV program Extreme Makeover. Angel Aquino is a top model turned critically acclaimed actress and lifestyle host. Currently, she performs in Maria la del Barrio (ABS-CBN drama series) three times a week and reports to Studio 23’s Us Girls in between. She also does shooting for indie films and commercials on the side. Jett Pangan is a rock icon in the Philippine music scene. He is a singer and guitarist who fronts for one of the most popular Filipino rock bands The Dawn. His career spans more than twenty-five years now. He also does acting for musical theater and hosts for MYX Live. Dr. Oyie Balburias gave a presentation of how stress and poor nutrition affect our health. Doc Oyie is Medical City’s Medical Director and Unit Head of Center for Wellness and Aesthetics and the Head of the Emergency Department. He is also the Coordinator Physician of the Wellness Center in Medical City. 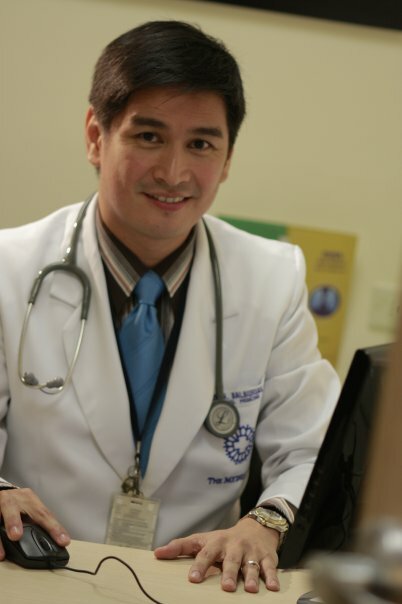 He co-hosts Pinoy M.D., a medical program aired over GMA 7. - Increased levels of allostatic load linked to increased risk of morbidity and mortality. - Allostatic load may adversely affect nutrient status through dietary inadequacy which in turn may lead to greater disease burden due to immunosuppression and impairment of regulatory systems. When we are stressed and tired, our reflexes will not respond. This condition also affects our alert level. - Under high-stress conditions, people consume more fat and fewer micronutrients. - Diets high in saturated fat, low in vitamins and minerals linked to increased morbidity and mortality. Glucose metabolism is slower during slow wave sleep which predominates the first part of the night. - brain uses less glucose. - increased release of growth hormone. - sympathetic nervous system is less active. Wyeth, the country’s leader in nutrition, answers health threatening conditions by introducing a new adult nutritional supplement called Enercal Plus. 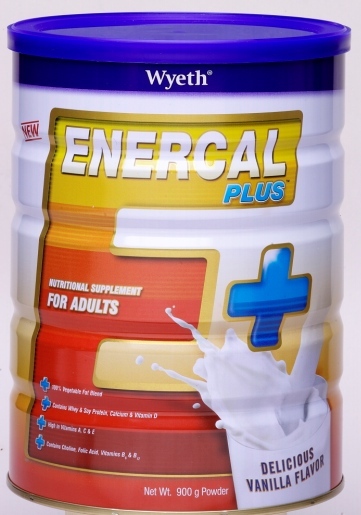 A glass of Enercal Plus contains Nutri-Life Plus, a complete source of essential nutrients found in a balanced meal plus an array of additional benefits for a healthy heart, bone and muscle strength, and immunity. Enercal Plus contains antioxidants such as Vitamins A, C and E as well as zinc and beta-carotene to combat oxidative damage by boosting and strengthening your immune system. It also has the right macronutrients to support the body’s energy needs. It can be formulated to give 1.0 kcal/mL for supplementation purposes or up to 1.5 kcal/mL for total nutritional support. Enercal Plus has nutrients equivalent to a complete meal! It has 29 essential nutrients to support the individual’s ability to handle his daily mental and physical demands and activities. For those who do a lot of exercise and body building, Enercal Plus does help too because it contains whey protein, a good source of all essential amino acids needed by the body, that is easily absorbed to provide quicker muscle repair. It does not contain transfat and its cholesterol content meets the criteria prescribed by the American Heart Association. For inquiries about ENERCAL PLUS, please call the Wyeth Careline at 81-WYETH (99384) or the provincial toll-free number 1-800-10-884-2222.